Throughout all creation there are many signs that witness to us about Yeshua, telling us who He is and teaching us about all that He has done and will do for us. As Peter has pointed out in some of his blogs, the stars tell us the story of salvation and Yeshua’s triumphant return to reign on the earth. The sacrifices that our loved ones make for us, the love between a husband and wife, the seed that must fall to the earth and die in order to produce much fruit, are all signs and teachings that we have with us daily. One sign that perhaps we have overlooked are rocks and stones. 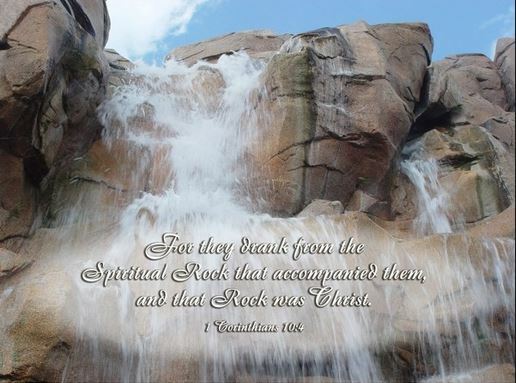 Stones and rocks are mentioned numerous times in Scripture. Abraham and his descendants set up stones as memorials of significant events Gen 28:18, 35:14, Josh 4:9). After Jacob’s dream or vision and YHVH’s promise to give him the land, Jacob set up his stone “pillow” as a memorial and anointed it with oil. Yeshua is our Anointed One, our Messiah. Yeshua referred to Jacob’s vision when he met Nathaniel. He said that Nathaniel would see angels ascending and descending and that He Himself is the staircase that Jacob saw (John 1:50-51 NLT). A mound of stones was used as a witness of a treaty between Jacob and Laban (Gen 31:47). Sometimes stones have negative connotations. One example is when YHVH said that He will remove stony hearts and replace them with hearts of flesh. In this case, YHVH is speaking metaphorically to demonstrate hardened or insensitive hearts. Israelites who were guilty of certain sins, such as adultery, were to be stoned to death. In Joshua 7:26, rocks were piled up over the grave of the offenders who had been buried after being stoned to death for their offenses. YHVH wrote His Ten Commandments (or summary of Torah) on stone tablets. Yeshua is our living Torah. Yeshua tells us in Matthew 7:14 that “everyone who hears these words of mine and puts them into practice is like a wise man who built his house on the rock.” We as believers in Yeshua are referred to as living stones and Yeshua is our Chief Cornerstone (Eph 2:20-22, 1 Pet 2:4-8). If we living stones fail to proclaim Messiah, then even the non-living stones will cry out (Luke 19:40). In the second chapter of the book of Daniel, Nebuchadnezzar had a dream that none of his astrologers could interpret. Daniel, aided by a vision from YHVH, was able to explain the dream and how the different parts of the statue represented four kingdoms. During this time, YHVH would be setting up His own kingdom and the rock not cut by human hands represented YHVH’s kingdom (Ex 20:25). This “rock” of course is Yeshua. The altars used for worship and sacrifice were to be made of rocks that were not hewn, thus providing for us another picture of Messiah. In Matthew 6:18-19, if you study the Greek text, you will find the word petros for Peter which means a small piece of a rock or stone. The small rock is movable, and shifting. The word “rock” upon which Messiah would build His church, is the Greek word petra, which means a cliff or solid formation that cannot be moved or shaken. In the English translation, rock is used in both instances and this very important distinction is lost. In Hebrew, the word for Peter is keifa, which means small rock or stone and tzur is the cliff or solid formation. YHVH is often referred to as our Rock. Some examples are: YHVH is our rock, our fortress and deliverer (David Ps. 18). But his bow remained taut, and his arms were strengthened by the hands of the Mighty One of Jacob, by the Shepherd, the Rock of Israel (Gen.49:24). For in Scripture it says: “See, I lay a stone in Zion, a chosen and precious cornerstone, and the one who trusts in him will never be put to shame” (1 Pet 2:6). Let us as living stones, forever boldly proclaim our solid Rock! Previous PostSpeaking God’s Awesome NameNext PostWhat would You do if You were God (Part 1)?